Police Reference 44140021624 Between 1400 - 1700, Saturday 18th January 2014 Location Colts Road Rownhams, Southampton. Stolen a six month old Falabella colt. This is being treated as a theft and not a gone missing from a field!! 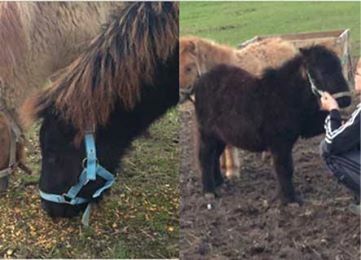 Please be on a continuous look out for this little pony. There is every possibility it is still in Hampshire and may be offered for sale. BUYER BEWARE! !